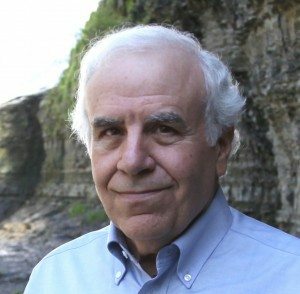 With the introduction of bills in both the Florida House and Senate to ban fracking and fracking-like activities within the state of Florida, Conservancy of Southwest Florida will introduce Cornell University’s Dr. Anthony Ingraffea, a leading researcher on Unconventional Oil and Gas Extraction, for a special “Evenings at the Conservancy” event. Free and open to the public, the lecture will take place from 6 – 7 p.m. on Wednesday, Nov. 8 in Eaton Conservation Hall at the Conservancy Nature Center, 1495 Smith Preserve Way in Naples. Ingraffea is the Dwight C. Baum Professor of Engineering Emeritus and a Weiss Presidential Teaching Fellow at Cornell University, where he has been since 1977. He holds a bachelor’s degree in Aerospace Engineering from the University of Notre Dame, a master’s in Civil Engineering from Polytechnic Institute of New York, and a Ph.D. in Civil Engineering from the University of Colorado. Ingraffea’s research concentrates on computer simulation and physical testing of complex fracturing processes in metals, ceramics, and geomaterials. For his public education efforts on shale gas and oil, TIME Magazine named him one of its “People Who Mattered” in 2011. Following the presentation, Ingraffea will take questions from attendees. Light refreshments will be available. To attend, please pre-register for the event by emailing SophiaN@conservancy.org or by calling 239-403-4207. To learn more, visit www.conservancy.org/evenings.